With its roots in an 1890s movement to fight the slaughter of waterbirds for the hatmaking trade, Audubon started as a loose-knit network of state-level groups. It has long relied on that decentralized framework to reach widely and empower local efforts. But Audubon’s federated structure—with 467 local chapters and a long roster of independent, grassroots conservation projects across the Northern Hemisphere—created data-management challenges. 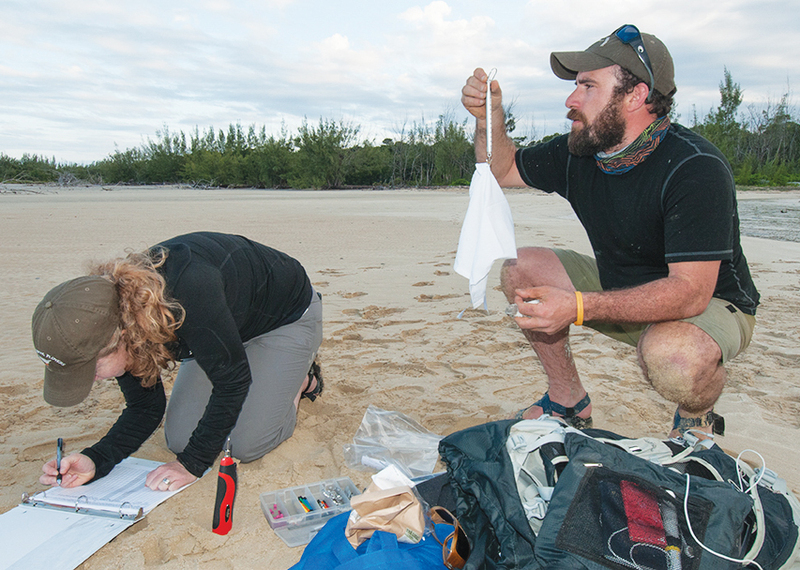 In 2010, Audubon’s leadership committed to pursuing large-scale conservation projects that would require situational awareness across multi-state regions. The group restructured itself, creating a new organizational alignment based on four North American flyways, the north–south paths traveled by migratory birds each spring and fall. State and local chapters typically pursued independent conservation initiatives that were based on strategies that seldom reached across state lines. Audubon hoped that under this new configuration, these chapters could begin to see their efforts in the context of wider regional pictures. This new approach would reduce redundancies and promote interchapter partnerships. The database required for such an overhaul, though, simply didn’t exist. As the first step in its retrofit, Audubon created an experimental protocol. Chapters in each north–south flyway systematically reported every four months on their progress with ongoing projects. Whitley led the effort to compile and organize the incoming data, using ArcGIS to build a comprehensive new picture of Audubon’s efforts. Audubon’s leadership faced a unique challenge: broaden the group’s use of GIS while staying true to its decentralized organizational structure. An enterprise GIS strategy had to be molded to fit Audubon’s existing culture. In that culture, data management skills, data needs, and access to technology varied chapter by chapter. Whitley knew that, for Audubon, GIS implementation would need to be both creative and agile. Using a single server, Audubon’s GIS team input newly quality-controlled spatial data layers into ArcGIS for Server. 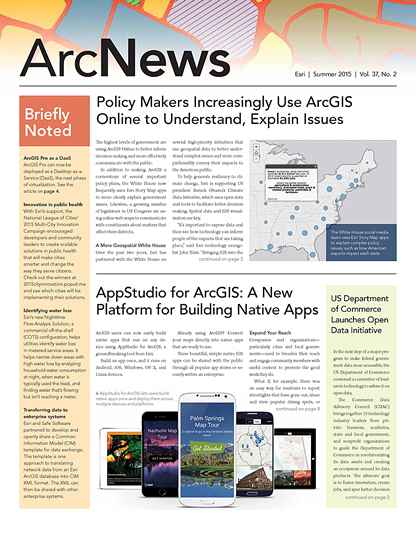 Maps were then created in ArcMap and published as map services via ArcGIS for Server, making them available online for users throughout the organization. End users with local chapters could then incorporate the material into their own initiatives and campaigns. 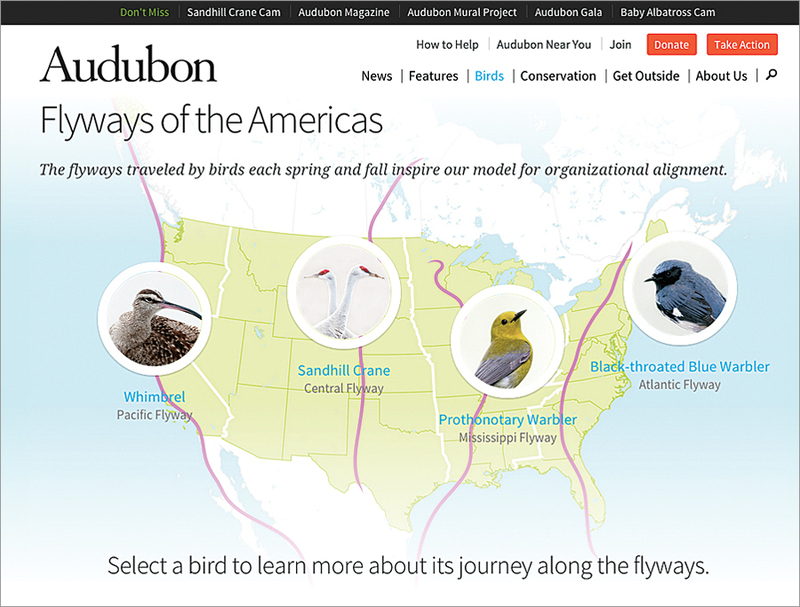 The value of Audubon’s data increased as its directional flow changed. With an improved data structure in place, Audubon introduced GIS-empowered initiatives and retooled existing efforts to better use spatial information. Audubon’s Lights Out program, for example, works to mitigate the risk that migrating birds will be killed at night by flying into buildings. Many bird species migrate at night and rely on the moon and stars for navigation. Brightly lit windows in tall buildings can disorient birds, causing them to strike urban structures. According to Audubon, more than 100 million birds die annually from such strikes. Prior to Audubon’s widespread adoption of GIS, volunteers monitoring buildings for signs of overnight bird strikes might have compiled data consisting of little more than the building’s address. Now, volunteers can use Collector for ArcGIS to record specific strike locations on a building’s exterior. Audubon has begun using Esri CityEngine to build 3D models of the environments in which these strikes occur. The technology has changed the tone of Audubon’s conversations with building owners. Rather than requesting that all lights in a building be turned off overnight, Audubon instead asks to limit lighting in specific locations on specific floors. That change in tone has actually prompted many building owners to be voices for the Lights Out cause.